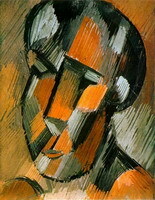 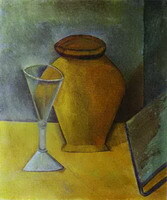 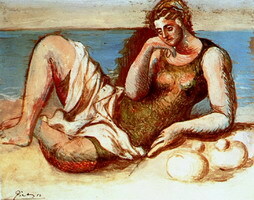 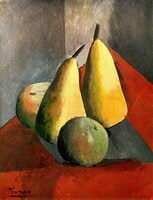 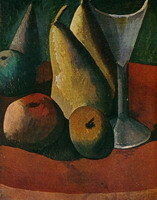 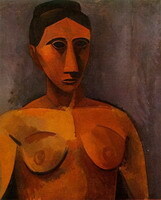 Under the influence of Cézanne 's painting, Picasso includes in his work similar volumetric and geometric forms. 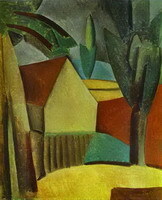 In August, he goes to La Rue des Bois, a small village located fifty kilometers northwest of Paris, where, inspired by Cezanne, he works on landscapes paintings. 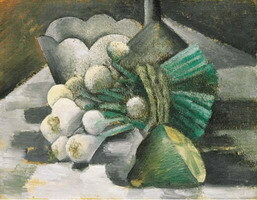 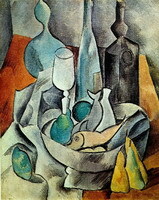 In September, a close cooperation with Georges Braque begins and lasts until 1914. 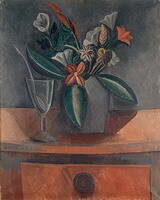 In November, Picasso gives a banquet in Bateau Lavoir to honor the French artist Henri Rousseau nicknamed "customs officer". 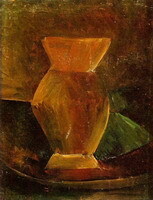 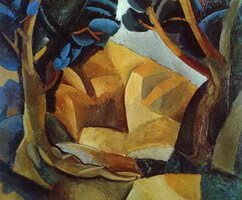 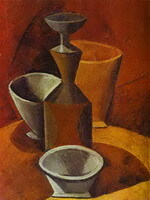 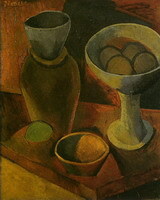 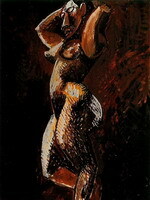 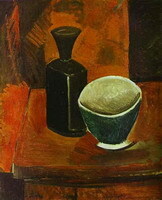 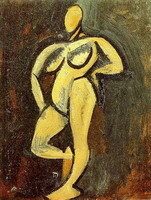 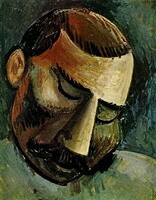 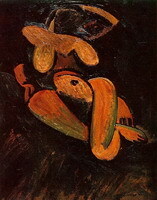 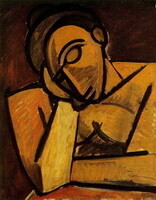 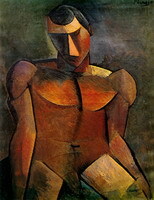 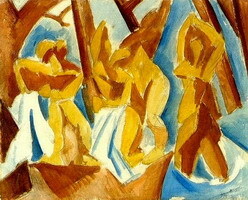 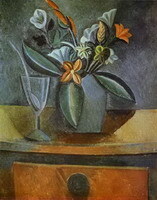 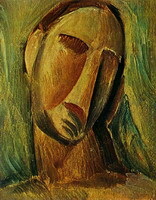 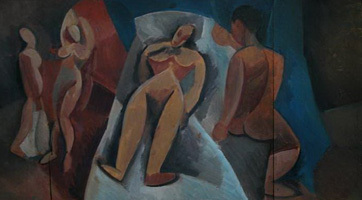 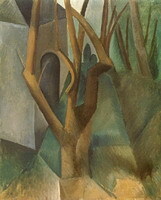 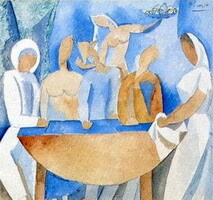 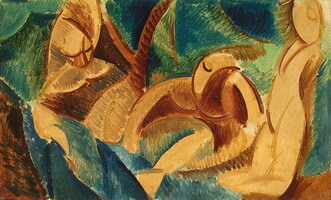 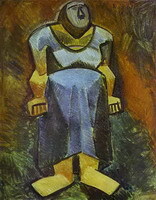 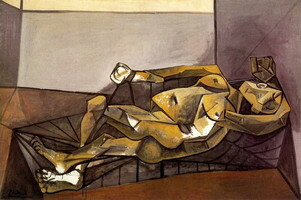 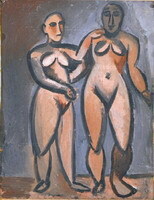 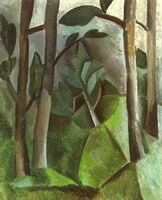 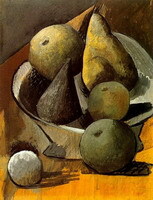 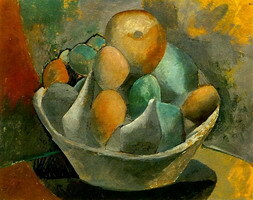 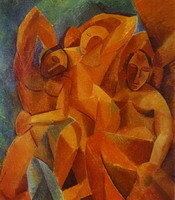 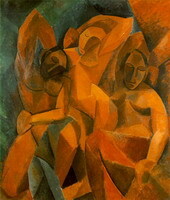 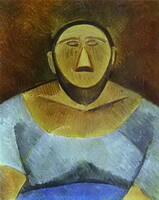 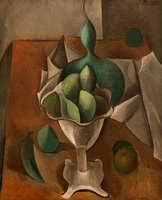 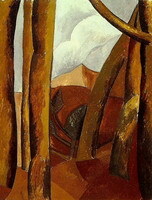 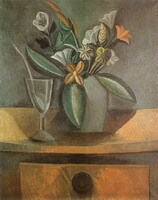 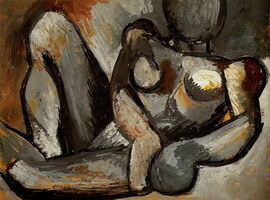 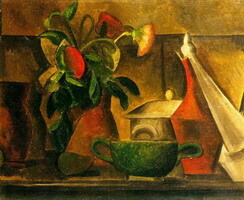 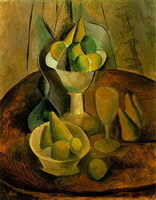 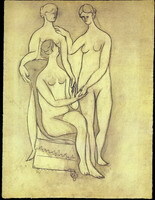 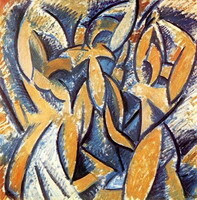 An influential art critic Louis Vaucel announces a new art trend while describing the work of Braque, exhibited in the Kahnweiler gallery, and calls it "bizarre cubiques".